Panquetzani breathes new life into ancestral traditions, inspired by Mesoamerican medicine, Mexican folk healing, traditional foods, and herbalism. 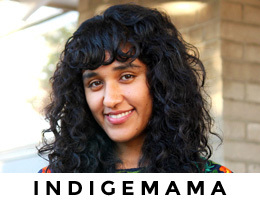 Indigemama provides holistic care you deserve, using ancient and modern healing modalities. 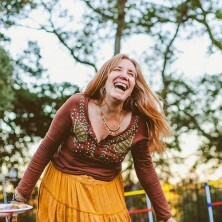 Looking for a doula that is honest, grounded, down to earth, light and funny, intuitive and skilled at her art? Receive what we love to share. Sign up now for a FREE gift! Snag my free womb meditation track. Thanks, Indigemama. Indigemama: Ancestral Healing helps women attain optimal health through traditional and modern holistic healing modalities. Deepen and strengthen your wellness practices with Indigemama: Ancestral Healing womb massage, herbalism, traditional foods, and educational courses. Be one of the hundreds of women to attend workshops with Panquetzani. Learn and convene with inspired women women of color and allies dedicated to feminine wellness and vitality. Treat yourself to a personalized consultation privately with Indigemama, in-person, on the phone, or via Skype. Enrolling in our distance courses enhances self-care and healing in a self-paced, self-directed way in the comfort and privacy of your home or office. Ask about our services for mothers-to-be, and check Indigemama’s calendar for local and international gatherings. Serving Long Beach, Los Angeles and Orange County.